The model number on an engine is needed for many things including ordering parts, getting a warranty, and looking up any information for it. 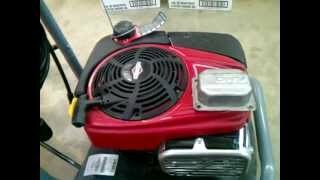 These numbers are sometimes hard to find and this video shows you where to find it on a Briggs engine which is very common in mowers. Check it out! We were there about two weeks too early for the bats. I’d really like to go back and see that. My famliy took me for Mother’s Day last year. My only regret (other than not getting to see the bats) is that we didn’t get to go until we were moving away from New Mexico. I wish we could have gone earlier and gone more than once.